Flying with a baby can be a struggle. 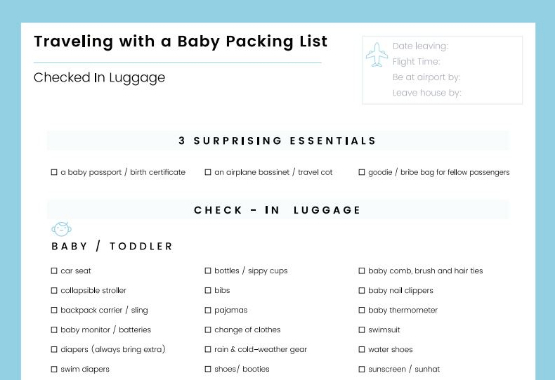 Download or print this free packing list and never look back. Need a little help with packing? That's right! We were frustrated with the packing process ourselves, so we decided to do something about it. We created a system of clear packing cubes that make it easy to organize a suitcase for travel. Not only is the packing process easier with EzPacking, you'll also be able to quickly unpack at your destination. The photos below show how easy packing SHOULD be! 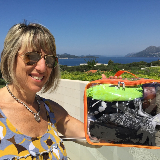 EzPacking has made packing 4 kids worth of clothes in a suitcase much easier. They have also been extremely helpful when packing for our camping trips. Because 2 of my 4 kids are girls, this has really helped separating clothes so we don't have fights over who packed what. Thanks for providing such a wonderful product to help make traveling easier and more organized. We love using EzPacking on our bike trips. Not only is packing for the trip easy, but staying organized on the road has never been so effortless. We pack an extra small cube with our essentials - keys, sunscreen, tissues, a protein bar. We pack a small cube with our bike gear - bike tubes, a wrench, and anything else we need that day. We love using EzPacking! EzPacking saved us from having to pay for excess bag weight at the airport! We just pulled out a cube and carried it! Dropped the bag from 54 to 49 lbs. The lady in front of us had the same issue, pulled out piles of clothes and had to go purchase an extra bag to carry them. EzPacking saved me $100 in extra bag fees! Thanks EzPacking!